This image was inspired by the similar artwork of Roger Shepard. 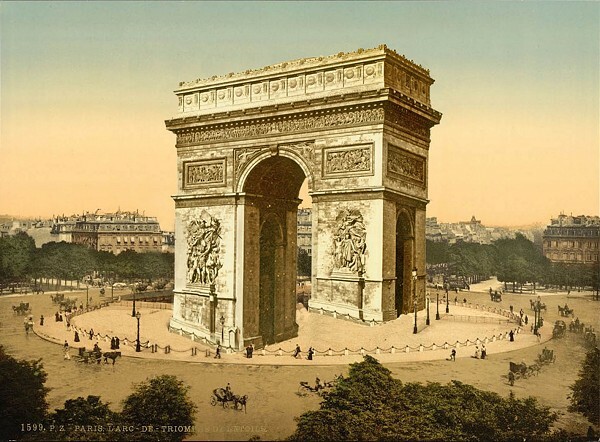 The image was found at http://www.opticalillusion.net/optical-illusions/roger-shepards-arc-de-triomphe-revisited/. See also cartoons by David Phillips.